PennsylvAsia: No Korean Food Bazaar for 2019; aims for 2020 return. 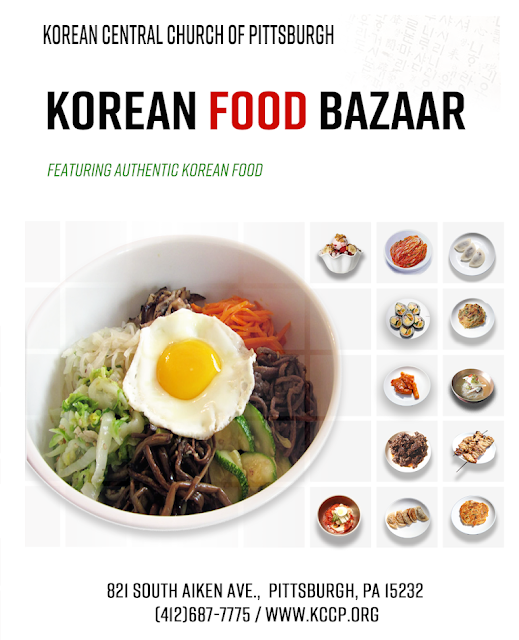 No Korean Food Bazaar for 2019; aims for 2020 return. The annual Korean Food Bazaar (선교바자회) in Shadyside is taking 2019 off. A tradition of the Korean Central Church of Pittsburgh for 23 years, the church confirmed on Sunday it will not organize the festival this year, but will aim for a 2020 return. The bazaar has typically run on the first Saturday of May.